By David Veselka on Nov 29, 2013 - 79 Comments. Having based my initial Call of Duty: Ghosts multiplayer review primarily on the Xbox 360 version of the game, I can tell you right now that I will certainly be bumping up the score for Call of Duty: Ghosts on the PlayStation 4 and Xbox One. But what exactly is different about an upgraded version of Ghosts sitting next to its previous-generation predecessor? Comparing the two side by side, it should be noted that both versions pack nearly identical content, including the same, buttery smooth frame rate of 60 FPS and similar player counts, save for one game mode in particular, which we’ll get into later. It says something when players across both generations can enjoy almost the exact same Call of Duty experience, though the upgraded game does clearly boast a few shiny next-gen improvements. In my initial review, I critiqued Ghosts for stumbling backwards after every step forward that it took. I felt that developers Infinity Ward focused their efforts on shaking things up merely for the sake of change, rather than making significant improvements to the Call of Duty formula and pushing things forward. After sinking my teeth into Ghosts on the Xbox One, it becomes apparent, however, that where the bulk of improvements lie are within the game’s engine. 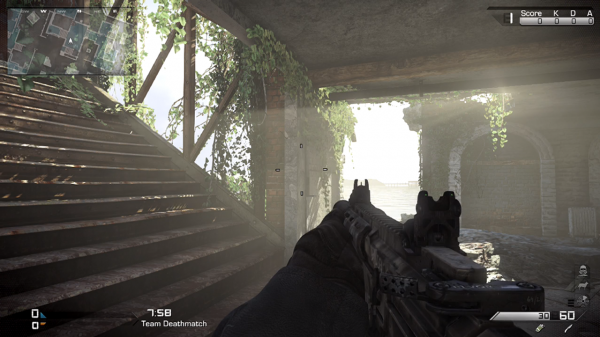 Whether you want to call it an entirely new engine, or a heavily improved one, booting up Ghosts on next-gen shines a brighter light on the type of work Infinity Ward put into their project. 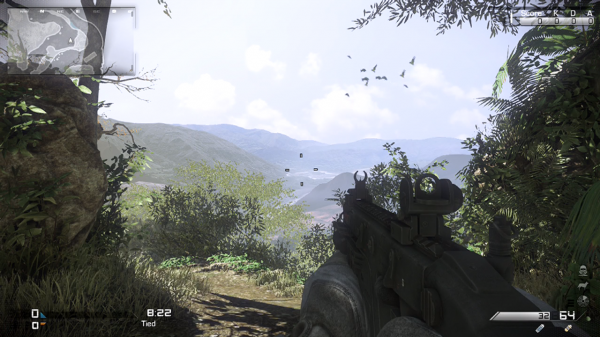 I found that the boost in image quality had a direct impact in the way Ghosts plays. With a much clearer picture, it’s easier to make out enemies and distinguish between objects. The more realistic lighting and shadows give each map more depth, which, in turn, actually makes them easier to navigate. I do find, however, that brightly lit areas and objects tend to glow a little bit too much, which takes away from their details. While Call of Duty ran fantastically smooth on previous generation hardware, I always found its visuals to be “cardboard-y”, if I may use that word. Maps felt static and, at times, objects seemed to blend into a single, almost two-dimensional backdrop. With the sort of visual improvements made here, each area feels more alive and much more three-dimensional. Textures remain as sharp as ever while environments are detailed and filled with movement like rustling foliage or dirt and dust that is picked up by the wind. I did find a small dip in frame rate when aiming down any optic that causes the engine to dual render two images, however. Simply put, Ghosts is much nicer to look at on next-gen, though because both versions of Ghosts run at a 60 FPS frame rate, your first impression won’t be as startling. While the visual improvements are very much appreciated, the difference in graphics between generations isn’t as drastic as one might anticipate. It looks fantastic, but I can’t help wonder, could Infinity Ward have pushed the visuals even further using next-gen hardware? Call of Duty: Ghosts’ map design and uniquely different play style from previous entries has grown on me over the past few weeks, but I still have a hard time getting over how fast you die, on top of a small number of other gameplay design choices that I don’t feel particularly ‘fit’ Call of Duty. I am, however, spending much more of my time in the Ground War playlist which, unsurprisingly, leads to more satisfying and fulfilling play sessions on Ghosts’s larger maps and sort of “fixes” a few of the personal issues I had with Ghosts on the Xbox 360 or PlayStation 3. 9 vs 9 player combat is definitely something the previous generation Ghosts is missing sorely, so booting up Ground War for the first time on my Xbox One was a sigh of relief. Speaking of Xbox One, Ghosts is a blast to play on Microsoft’s new controller. I’m really digging the smaller, stickier thumb sticks while the triggers feel very nice and “springy”. Best of all, the controller’s shape has improved significantly and fits my hands wonderfully. I’ve not had nearly the same amount of hands-on time with the PlayStation 4’s DualShock 4, but I’ve heard very positive things from colleagues about it as well. In closing, three weeks after the game’s initial release, I’m boosting the Xbox One and PlayStation 4 score up a star to three and a half stars out of five to better reflect Call of Duty: Ghosts’ superior stature on next-gen hardware. 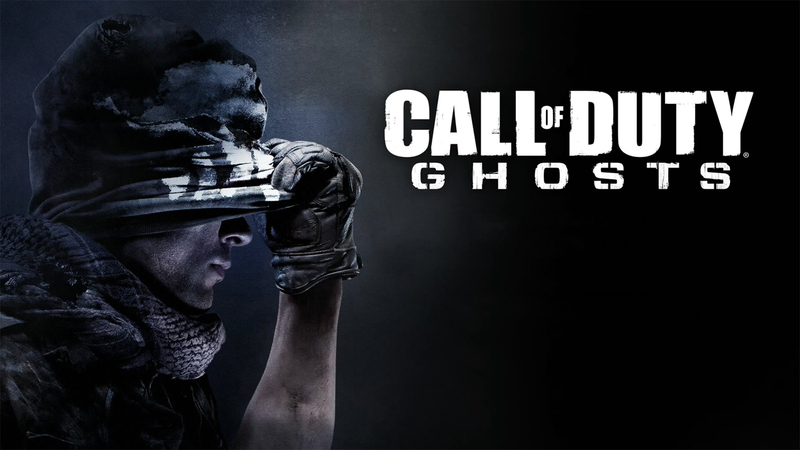 Be sure to read up on my initial review of Call of Duty: Ghosts multiplayer and don’t forget to leave your thoughts in the comments telling me what you think about Call of Duty: Ghosts on next-gen!